This beautiful, sparkling gift not only looks really great, but tastes great. 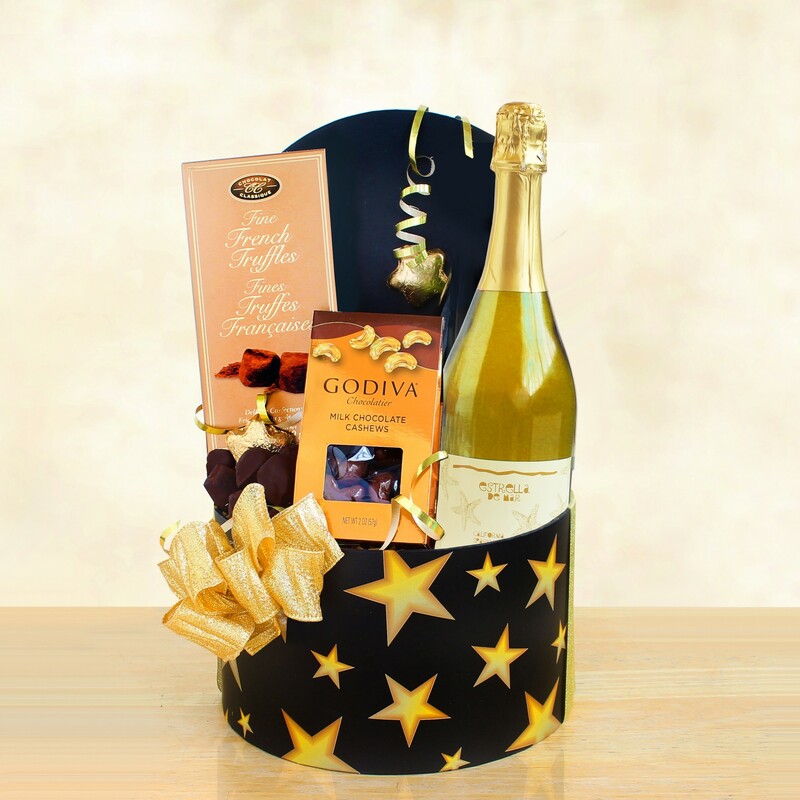 Featuring a bottle of Regalo Valley Ranch Sparkling Wine, this 'Star-studded' gift box packs: French truffles, Godiva chocolate-covered cashews and foil-wrapped star shaped chocolates. Pop the cork, and dive into some great chocolate and cheer!